Moms are simply the best, so it's kind of mind-boggling to me that there's only one calendar day per year reserved for celebrating them. My mom is an absolute gem, so I always try to get her something really special for Mother's Day. There's absolutely nothing wrong with breakfast in bed or a bouquet of flowers. 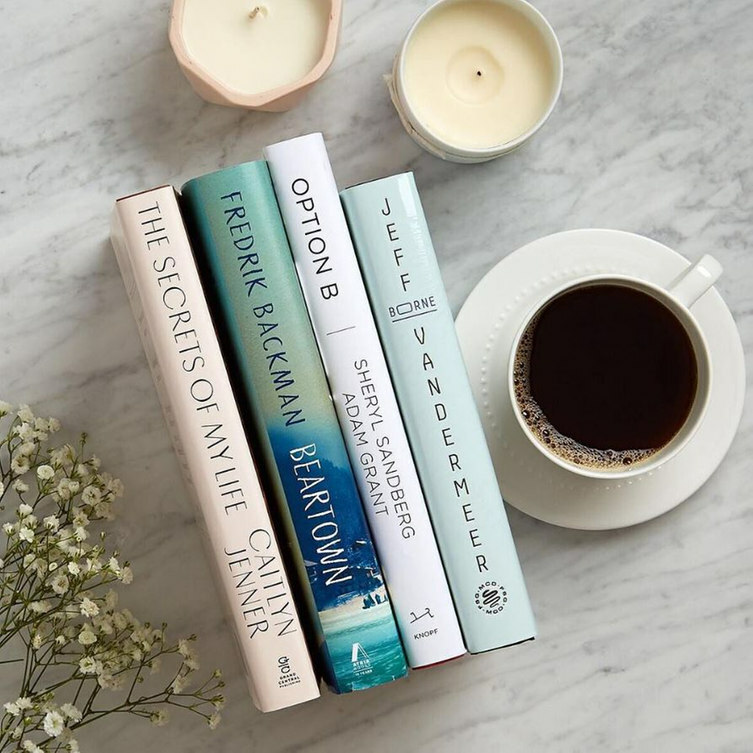 But if you're looking to gift your mom something really exceptional this year, the gift ideas on this list are sure to impress. So keep on reading for eight Mother's Day gift ideas that will show your mom how important she is to you! What mom wouldn't love an adorable straw tote bag? Heck, I'm in my 20s and I'd be over the moon if someone gifted me this. Perfect for a day at the beach or running errands, this straw tote from J. Crew is pretty and practical. You can even fasten a bright, printed scarf around the handle for a fun, unique look. My mom is an avid reader, so I almost always buy her a book as part of her Mother's Day gift. If your mom is also a bookworm, check out the bestsellers or new releases section. Not sure what kind of reads your mom is into? Gift her with a Barnes & Noble gift card instead! It can be difficult to buy clothes for your mom. In all honesty, it can be difficult to buy clothes for anyone but yourself. If you feel like you know your mom's style well enough, a pretty, printed shift dress makes a great gift. Shift dresses suit essentially every body type and are the perfect wardrobe staple for the spring and summer. This navy, beaded number from the Banana Republic is definitely mom-approved. Candles are such a mom thing. Whether she uses them for a relaxing bath or purely for decoration, you can basically never go wrong with a yummy-smelling candle. 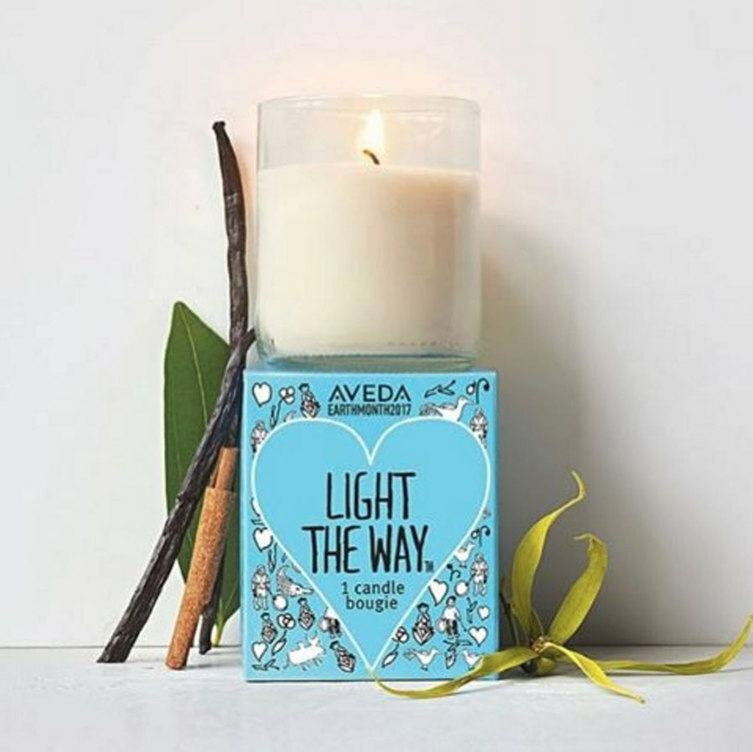 This pretty candle from Aveda incorporates scents of organic vanilla, cinnamon, and pure flower essences. The best part? The candle is cruelty-free and a portion of the proceeds go towards bringing clean water to those in need. Just looking at these bird-adorned dishes puts a smile on my face, so I imagine that they'd have a similar effect on most moms. Whether you purchase an entire set or just one or two for decoration, pretty, patterned dishes make for the perfect present. 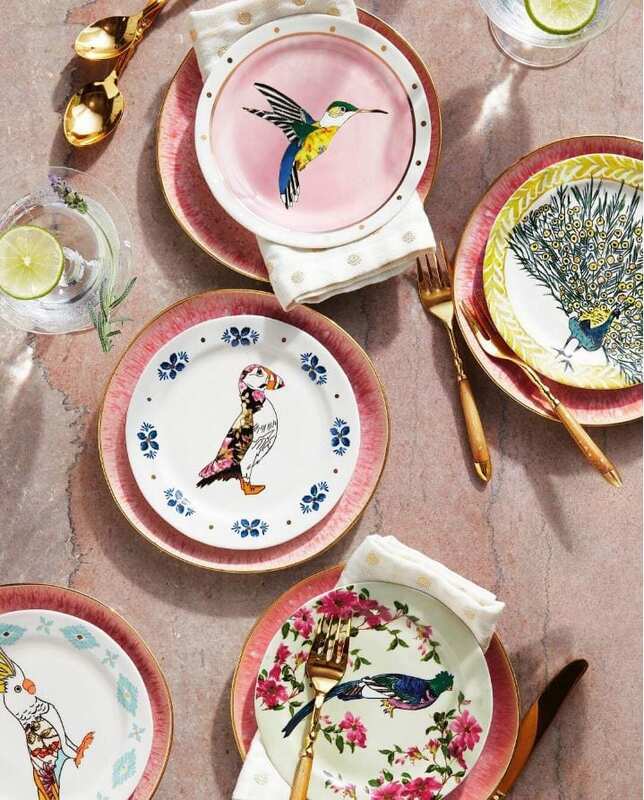 These Anthropologie dishes are simply a work of art. If your mom loves nothing more than a good piece of jewelry, a statement ring is a great gift idea. Chunky stones, unique designs, unexpected colors... the possibilities are endless. 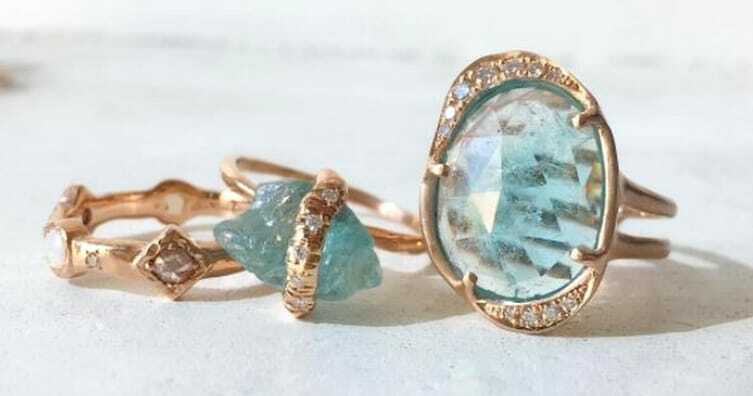 These aquamarine cocktail rings will instantly make you the favorite child. Perfumes are very personal, so I rarely buy them as gifts. But a fresh, floral scent generally appeals to most women. These light, feminine scents from Aerin (in Mediterranean Honeysuckle, Ikat Jasmine, and Waterlily Sun) are an excellent way to spoil your mom. My mom always says that one can never have too many shoes or too many throw pillows. I'd have to agree. Pretty, patterned throw cushions are a great way to liven up any space without investing in a full-fledged renovation. These neutral, embroidered throw pillows from Pier 1 will look great in any mom's bedroom or living room. What's the best gift you've ever given your mom? Comment and let us know!